Here at K-UTE, we make it a point to support our local artists of all genres. We believe that each and every one of these artists has something to bring to the table and has a chance at success. 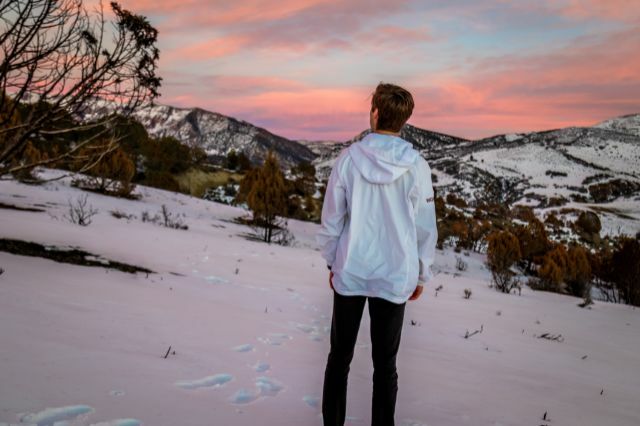 One such artist that is particularly talented is Provo, Utah’s CJSleeves. 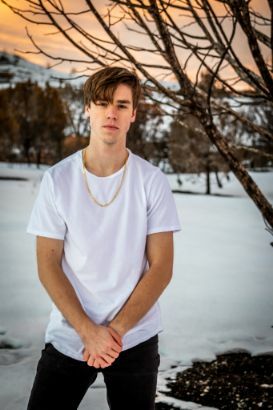 The young rapper has a lot of potential and definitely deserves to be listened to by a large audience. If you are unfamiliar with CJSleeves, you won’t be for long. According to the man himself, he got his rap name by using his initials of CJ and adding “sleeves” after a teammate on his high school basketball team referred to the sleeves that would show under his jersey during games. Sleeves also likes to say that the latter part of his name refers to the fact that he is very honest in his music and “wears his heart on his sleeves”. CJSleeves first started writing music in 7th grade, but didn’t really take it as serious until his high school years. One of the biggest things that he thought of when starting to make music was that he wanted to have the effect on others that his favorite artists left on him while he was growing up. Some of his biggest artistic influences include Machine Gun Kelly, Chance The Rapper, J. Cole, and Childish Gambino. If he could collaborate with one artist right now, he would choose Lukas Graham. He also cited the late Mac Miller as a dream collaboration (RIP Mac). He has made over 100 songs in 5 years but has only released about 30 of them. His debut mixtape Junior Varsity was released on Soundcloud during his senior year of high school. He plans on dropping a few projects this year as well because he’s enjoying making music more now than he ever has before. If you can’t tell by now, CJSleeves is an artist that genuinely cares about the music he puts out. He doesn’t release everything he records, but that isn’t a bad thing at all. This is an artist that truly gives the music he creates his all. All of the hard work will pay off for him once he is able to help others through music and have a positive impact on others lives. In regards to his rapping ability, this kid has skills. If you’d prefer to check him out for yourself rather than hear my opinion, check out the section below to see where you can find his tunes. 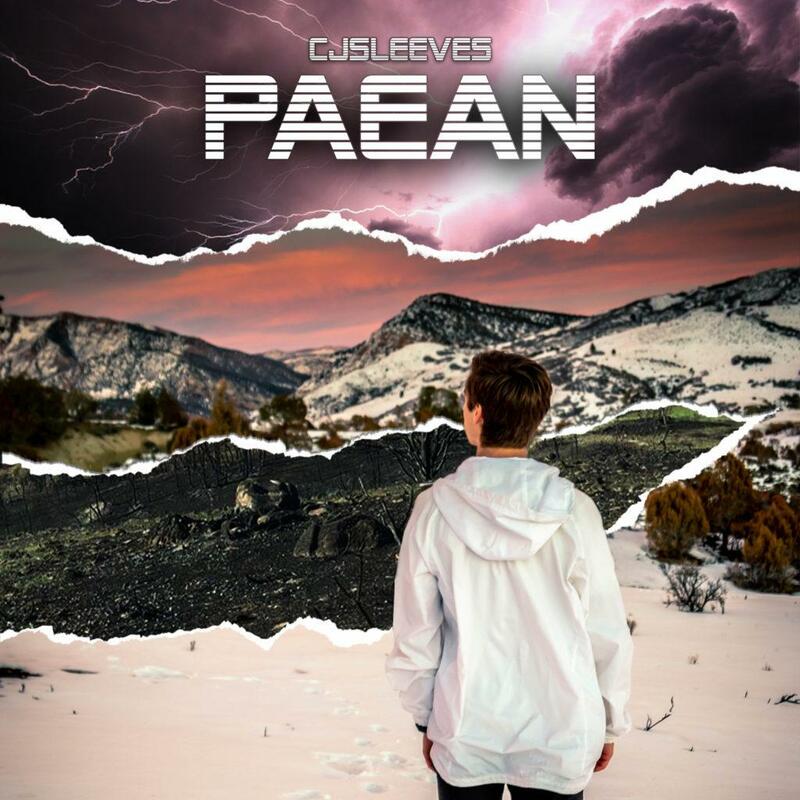 CJSleeves has quite a few tracks available on Soundcloud, including his brand new self-produced single “Paean (Alright)”. On the track (which is accompanied by a music video), Sleeves gets into some real-life struggles that are very relatable to young people. Sleeves said of the track “It speaks on the pressures of being in your early 20’s and having all kinds of decisions to make, but how even through that, I’m happy”. This one has been in constant rotation for me, and I’m sure the same will be true for you. Check out his project Junior Varsity on Soundcloud for more of that real spill courtesy of a fresh Utah artist. Stay tuned for more new music coming soon. This should be quite obvious, but CJSleeves isn’t going to quit pursuing his dreams. Right now he’s making more music than ever and is ready to drop some new projects and make a splash in 2019. If you enjoyed his music, follow him on Instagram @cjsleeves and show him some love.